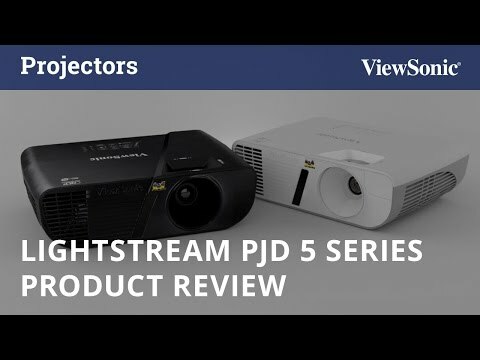 -->The brand new LightStream Projector PJD5153 is designed with elegant style and audiovisual performance. This projector makes a big statement with its elegant curves and light beam shape. Its thoughtful design, which includes a tactile keypad, instructional icons, and non-slip foot pads, also presents an intuitive and user-friendly interface. With SuperColor™ delivering astonishing pictures, users can experience a wider color range for true-to-life image projection. The LightStream Projector PJD5153 is also powered by SonicExpert™ technology; the resigned built-in speaker surpasses competing products in sound clarity and volume performance, as well as comfort. The LightStream Projector PJD5153 boasts a 3,300 ANSI Lumens lamp with a 22,000:1 contrast ratio with DynamicEco® for clearer and brighter images. From small to medium meeting rooms or classrooms, LightStream Projector PJD5153 delivers quality images in brightness and colors. Supporting 2 x VGA, Composite Video, S-Video, and 1 x VGA output, Mini USB and RS232, this projector has flexible connectivity with analog-based equipment, providing compatibility with conventional analog-based applications without adapters or converters. DynamicEco® further reduces power consumption by up to 70% and extends the lamp life by up to 10,000 hours. Packed with 3,300 ANSI Lumens and a high contrast ratio, the PJD5153 is guaranteed to produce bright images in any environment – even in rooms with high ambient light.